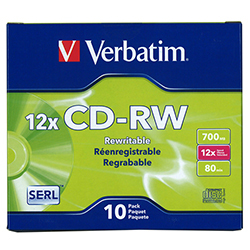 Verbatim CD-RW 700MB, Branded 4X-12X, in Slim JC 10/PK (95156) : Disk-O-Tape, Inc.
media, the recording layer deteriorates with every rewrite, meaning a decrease in quality. With Verbatim rewriteable media however, the recording layer is returned to perfect condition on every erasure, leaving a flawless disk for the next recording. SERL also enables this media to enjoy excellent archival stability and high-speed recording. 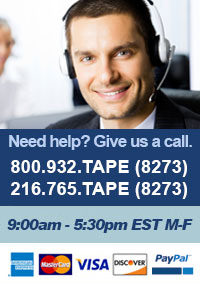 This means users can enjoy perfect, high-speed data storage every time.